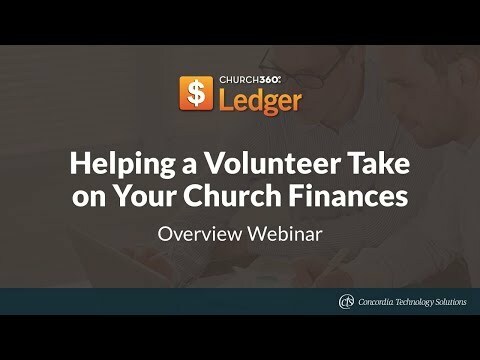 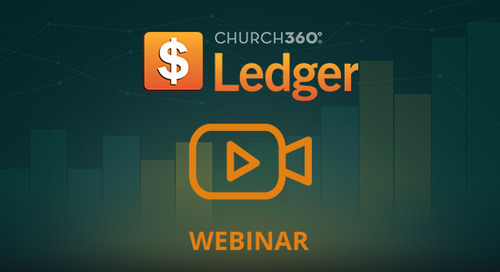 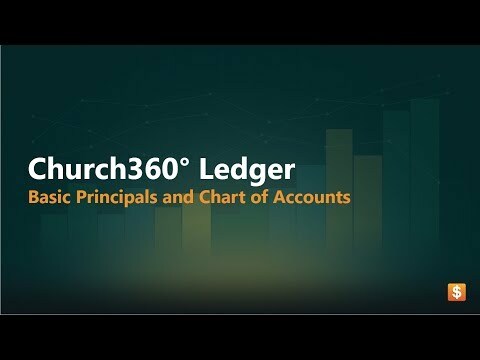 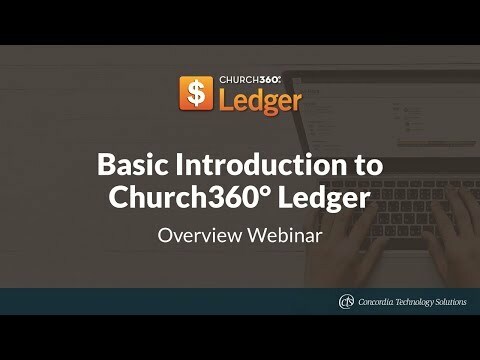 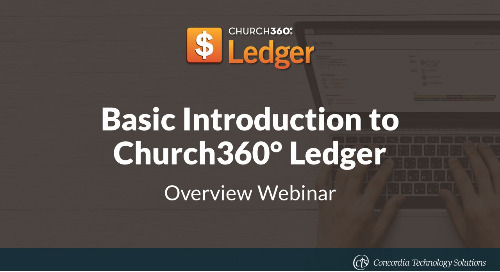 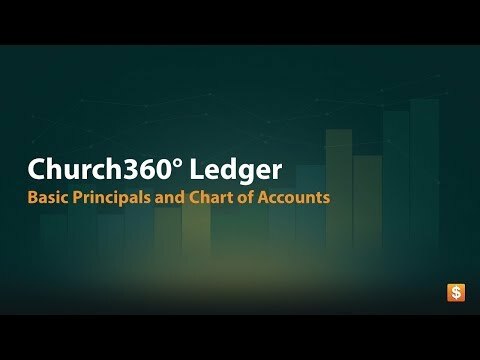 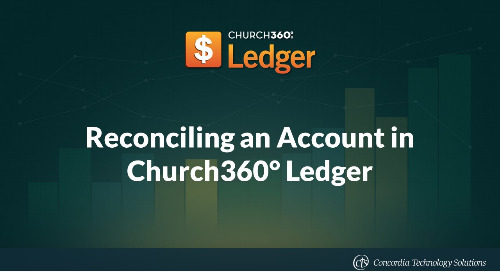 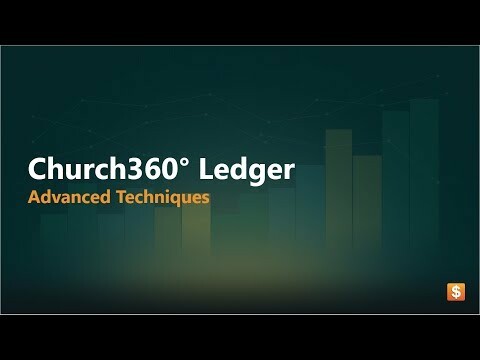 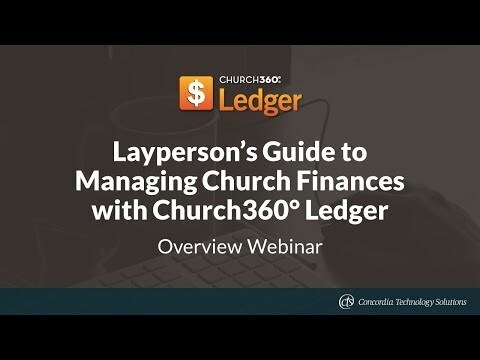 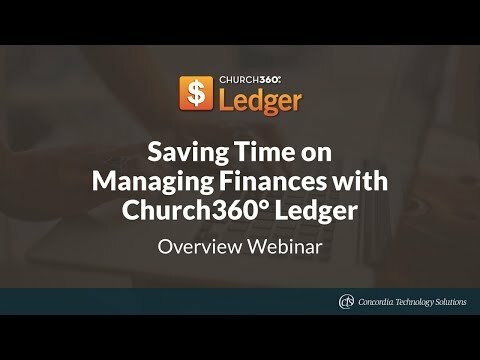 This training webinar from March 23, 2017, walked users through the budgeting features of Church360° Ledger. 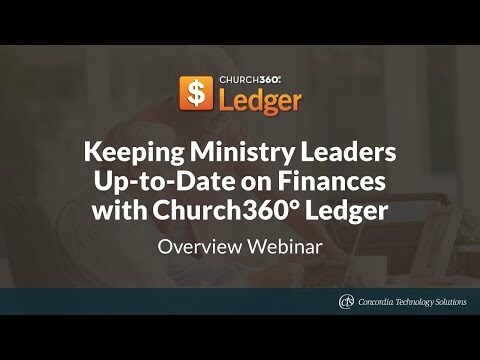 Topics covered include: chart of accounts, fiscal years, setting budgets, importing, and exporting budgets. 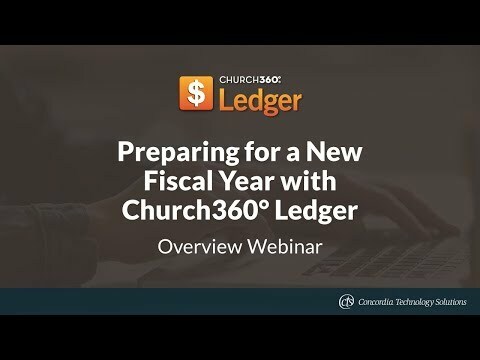 The webinar was hosted by Anna Johnson, Marketing Manager at Concordia Technology Solutions.